Home » Lifestyle » OMG video » Samsung Makes Fun of Apple Fans! Samsung Makes Fun of Apple Fans! Samsung is quite annoyed bythe Apple fans as Samsung believes they are worshiping a company that is giving that technology that is already available in Samsung’s mobiles. After the launch of Apple iPhone 5 and as usual it’s record breaking pre-orders has really pushed Samsung to take extra efforts go as far as to mock Apple fans. 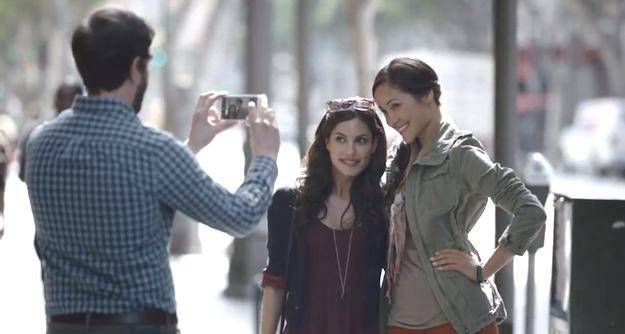 A week after Apple boss Tim Cook stood on a stage in San Francisco to unveil the iPhone 5, along comes the latest in a series of Samsung ads poking fun at Apple devotees. The ad follows a familiar routine – hordes of young people lining up outside a number of Apple-looking stores in various US cities, just as Apple fans are doing right now as they wait for the launch of the iPhone 5 on Friday. While the iPhone is never referred to by name, many of its specs are mentioned. “You have to have an adapter to use the dock on the new one,” one guy in the line says rather forlornly. “Yeah, but they make the coolest adapters,” says another. As with Samsung’s previous ads, owners of the company’s newest smartphone also make an appearance, causing confusion and curiosity among those waiting in line. In the latest ad, owners of Samsung’s flagship Galaxy S3 smartphone talk up their device, listing a good number of its features along the way. The Korean electronics maker clearly believes the ads are effective in denting consumer enthusiasm for Apple’s iPhone, a view that research appeared to back up with regards to the launch of the iPhone 4S last year. So, the million dollar question. Are these ads paying off? NO! Apple prevails! Previous: Shakira is Pregnant with Gerard Pique’s Child!